C-COM Satellite Systems history of engaging in innovative design, and the development and the manufacturing of mobile, satellite-based antenna systems that are focused on the delivery of broadband internet to any location, has resulted in a proprietary, one-button, auto-acquisition controller technology for rapid antenna pointing a to GEO satellite — all with the press of a single button. “Today we are a step closer to achieving our objective of developing and manufacturing an affordable intelligent antenna system capable of supporting the latest constellation of satellites, which will play a significant role in delivering high speed broadband solutions to mobile satellite communication markets,” said Dr. Leslie Klein, the President and CEO of C-COM Satellite Systems Inc.
Also under development by C-COM, and in partnership with the University of Waterloo’s Centre for Intelligent Antenna and Radio Systems (CIARS), is a next generation, Ka-band flat panel antenna that is based on advanced phased array technology. In June, the company successfully tested their 16×16 subarray phased array antenna using 4×4 Transmit and Receive building block modules (see the image to the right). The primary goal of this research project is to focus on the development of a new modular, low-cost, intelligent and conformal Ka-band antenna. 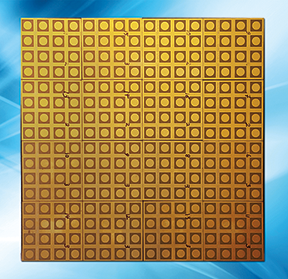 The now proven modular approach allows antenna designers to develop any size and shape of phased array panels using the smallest intelligent active 4×4 subarray. This system uses a unique technique to adaptively control the antenna polarization in such a way that a prescribed quality of polarization can be guaranteed over the entire scan range. Furthermore, the beam-processing unit and the antenna intelligent module can generate more than one radiation beam simultaneously and support multi-beam-tracking, a highly desired functionality in emerging LEO mobile networks. 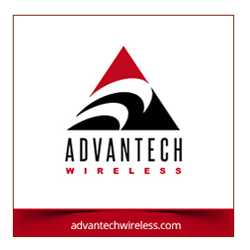 The developed technology platform can be easily extended to the rapidly emerging millimeter-wave 5G and complex radar systems. CIARS also achieved good beam steering up to 70 degrees from boresight, a significant achievement. The company’s Director of International Business Development, Drew Klein, said, “Innovation is critical in all industries, especially in technology and reminds me a bit of the line from Shawshank Redemption, with a bit of a twist, “Get busy innovatin’ – or get busy dyin’." “The longer you tread water, the more likely it is that someone with a big enough boot will come and stand on your head. In the SATCOM business, specifically in this niche market of antenna design, C-COM, and a few others, are seeking to truly change the game. Some of our competitors are standing still and, if the new technologies take off, there’s a good chance they will be left in the dust. Based on C-COM’s successful tests to date on our Ka-band electronically steerable phased array antenna, combined with our existing auto-acquire mobile VSAT business, which is arguably the biggest in the commercial markets worldwide, C-COM is in an enviable position. 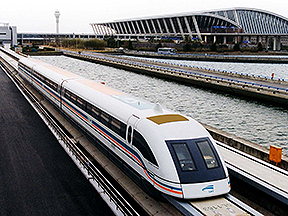 Image of a Speedtrain with a flat array antenna. Image is courtesy of C-COM. “The potential in this market extends beyond satellite — huge promise exists in 5G, automotive radar, and many other vertical markets yet to be identified. However, the goal will be to create an affordable, robust antenna for Comms-On-The-Move (COTM), for planes, trains, boats, buses, cars, helmets, backpacks, as well as a solution to deliver this technology for consumer use taking advantage of the large number of LEO/MEO and GEO satellites that are being deployed today and will be in orbit in the next few years. This is an ambitious project which we are running alongside our existing Comm-on-the-Pause (COTP) business, where we have aggressively marketed and sold our world renowned iNetVu brand into more than 100 countries. C-COM is a world leader in this market and we expect to be a world leader in the next generation antenna market, as well. 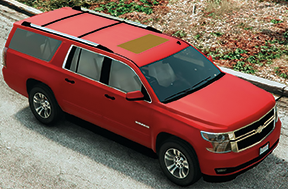 Image of an SUV with a phased array antenna installed. Image is courtesy of C-COM. “I think it’s clear — the world is seeking flat, active, conformal, modular solutions to replace the bulky reflectors with which we have all grown old. Parabolic antennas will not be able to provide the required solutions for the new constellations being launched into low and medium orbits that phased array antennas will be able to deliver, such as: tracking multiple satellites simultaneously, low weight, low height, small size, conformal, modular, no moving parts, etc. "New advances in microelectronics, nanotechnology, and advanced technology constellations will make it possible to match up satellites with modern phased array electronically steered antennas deployed on the ground to deliver large amounts of bandwidth to our bandwidth hungry world as we move into the next phase of trying to connect the next 3.5 billion people around the world who remain disconnected from the Internet." Drew is also a featured speaker at a session entitled "Antenna Performance and Economics — The Influence of New Materials and Processes" on Tuesday, October 9, at 1:30 p.m. at the Satellite Innovation event being conducted at The Computer Museum in Mountain View, California.